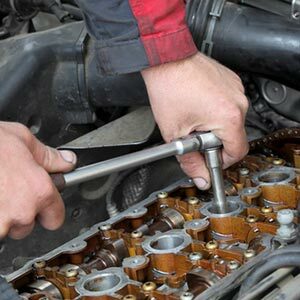 Engine repairs: Even the most well maintained vehicle can occasionally require repairs. When it is engine work you need, go to the automotive experts who know engines. Our technicians at Ray’s Automotive Machine Shop specialize in building, modifying and repairing all engine types and are happy to handle any type of engine repair you need. Engine rebuilds: Engine rebuilds can be complicated undertakings. Put in the wrong hands, you can spend a fortune in fixing shoddy work. For over 30 years, Ray’s Automotive Machine Shop has been the leader in engine rebuilding in Chester, SC. Cylinder head repair: Our technicians are skilled in providing cylinder head repairs for a variety of vehicle types. Unlike other mechanics, we don’t overcharge for this service and make it our mission to put you back into a vehicle that is running at its best. Engine modifications: Whatever kind of modifications you require, we’re the experts to trust. From minor adjustments to engine boring in Chester, SC, our automotive experts have the skills and experience to modify your high performance engine. Auto parts: Our automotive shop stocks an extensive inventory of auto parts, including engine parts and kits, performance parts and cylinder heads. Just ask our experts what you’re looking for and we’ll make sure you have a high quality part for your vehicle. When you’re looking for the best in automotive repairs and service, call Ray’s automotive Shop at 803-377-1055. For the very best in automotive service and repairs, there is no better name in the business than Ray’s Automotive Machine Shop.